Here at Critical Explorers, we’ve temporarily paused work on publishing to the website the remaining sections of the Slavery and Reconstruction resources in order to take advantage of an opportunity further to develop our soon-to-be-published Ancient Greece investigation. Some of the materials and activities for Ancient Greece were originally selected and created in conversation with a 7th-grade teacher and his students in Lawrence, Massachusetts. Now, we are expanding and refining them through our work with four teachers and their 7th-graders in Watertown. Ancient history — especially the ancient history of far-away places — at first seemed to me an area that is particularly difficult to help students explore. The primary sources that still exist are usually scarcer than those from more recent times, and they also tend to be prohibitively expensive, or secured in distant museums, or written in dead languages. Even including those available as digital images or in translation, the pool of primary sources is relatively small. This can make it necessary (even for historians) to draw on the same authors over and over. While studying the Persian Wars (one section of the Ancient Greece unit), for example, we read a number of passages from Herodotus — but for middle school students, large doses of Herodotus, unmixed with anything else, can seem repetitive. When primary materials are so scarce, what other kinds of materials can we productively bring to students’ attention? And what can we ask students to do, in order to help them make sense of the materials we choose? This pair of posts will focus on two strategies our collaborating teachers and I have come to trust as we work to engage students with ancient times: Developing Characters and Creating Reconstructions. In this post, I’ll discuss the first of these strategies. 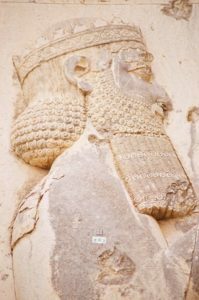 We choose a historical person represented in the existing primary sources — for the Persian Wars, for example, Darius the Great, King of Persia; or his son and successor, Xerxes the Great; or Leonidas, a king of Sparta. These are all splendid, legendary figures, and for ancient times such people are usually the best choices, because their words and deeds (unlike those of ordinary ancients) tend to have been preserved in surviving written and visual records, so that the students have relevant material to work with. 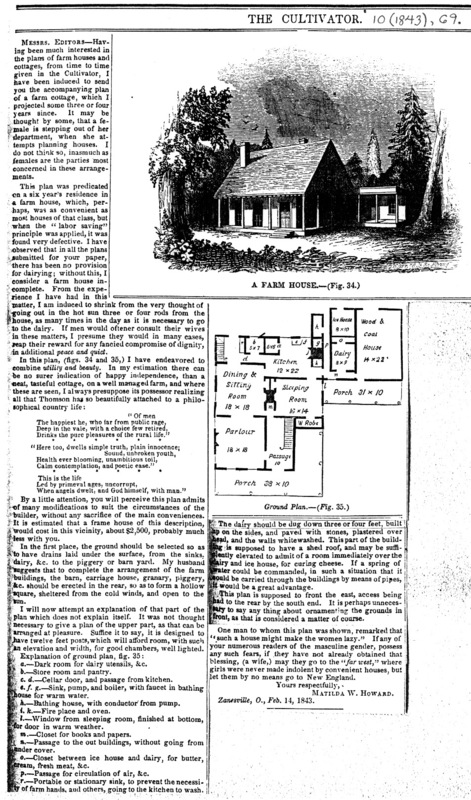 But the strategy of developing characters has also worked in the Industrial Revolution project, where we focused on an obscure dairy farmer named Marshall Strode, whose butter transporter is described in the 1867 Report of the Secretary for Agriculture; and Matilda Howard, a woman who sent a detailed floor plan for a farm house to an agricultural journal in 1843, is another excellent candidate. As forgotten books and magazines from recent centuries are digitized and their full text becomes searchable, it is easier than ever to discover people like these. To encourage this kind of thinking and discussion, we ask students to talk and write. The process of building historical understanding involves much more than the gathering of facts and observations. For students, as for historians, it is a process of selection and synthesis. In order to understand historical people and settings, students need to envision and even to recreate them in their own minds and imaginations. Through our activities, then, we try to support the development of increasingly rich characterization and context from the raw historical record of an individual and of his or her place and time. 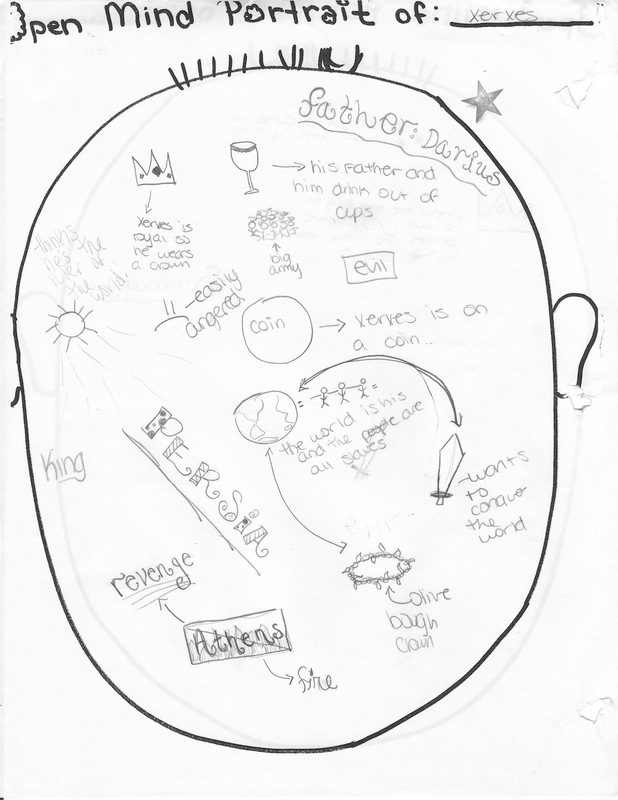 In our current work on Ancient Greece, students begin by collecting observations of the person — for example, clues to his inner thoughts, values, and priorities — in an “open mind portrait.” Students record their own thoughts, and can also include whatever they choose from small group or all class sharing. As they develop their characters, we try to provide more than one source for the students to draw on. For ancient people, we sometimes include (and, together, think critically about) not only ancient sources, but portrayals of the ancient figures in the literature, art, or popular media of other centuries. For lesser-known individuals, we may include other sources on people of the same type — for example, for Marshall Strode, sources on other dairy farmers operating at a similar scale. As we work with more materials, the portraits become more detailed. We then invite students to write about their characters, or to write from their characters’ perspectives. We also try to give students as many opportunities as possible to consider what their classmates choose to include and emphasize, and to explore whether they agree or disagree with each other. Just as historians differ in their interpretations, one student’s character may not match another’s, even though the historical person at their centers is the same. Was Xerxes the Great merely cruel and demanding, or was the massive assignment he gave his engineers — to build a bridge of boats that would allow his army to march across the strait between Asia and Europe — evidence of a creative side? As they raise and debate questions like these — questions that may never be answered conclusively, but that lead us back to the sources to find evidence to support one vision, or another, or both — the differences among the students’ characterizations build, strengthen, and complicate our individual and collective understandings of the historical person and of his place and time. I love this because the student created portraits are coming from their own life experiences, building their ‘web of understanding’ from the material explored and connecting it to already constructed material within themselves.